A few weeks ago I was seeing out in cyber land different kinds of cookies stuffed with Nutella. I love Nutella and I enjoyed trying out Bake @ 350's Nutella stuffed chocolate chip cookies. They were of course YUMMY! 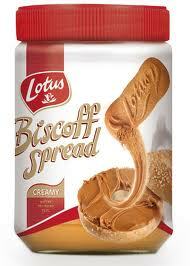 Well lately we have been enjoying the goodness of Biscoff Spread. If you have not tried it you should go buy you some today! 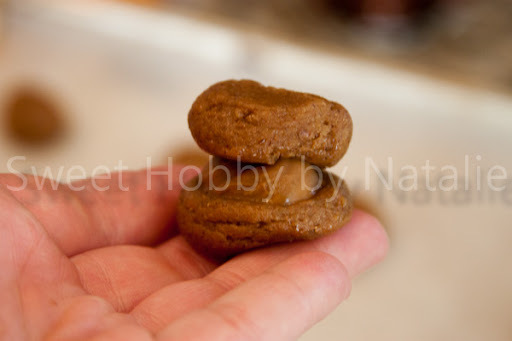 I thought that a ginger cookie stuffed with Biscoff would be amazing so here is what I did. 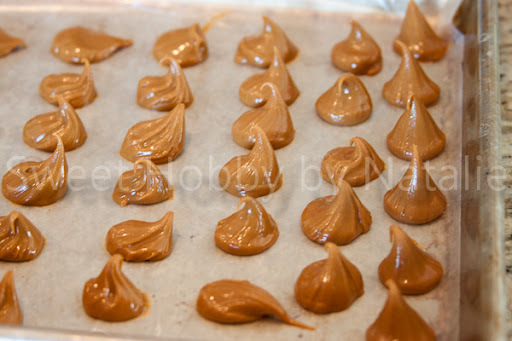 First you need to make some Biscoff Chips. 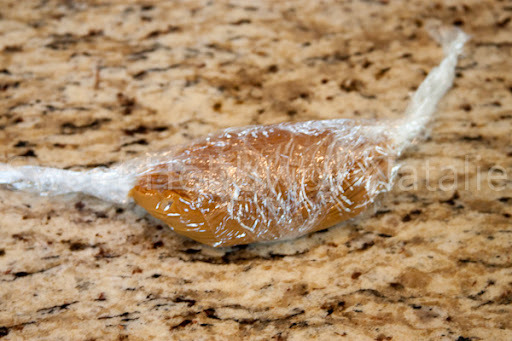 - Scoop out some Biscoff on a piece of saran wrap. Using the bullet method. This is a no mess icing trick you can see Karen's video right here. 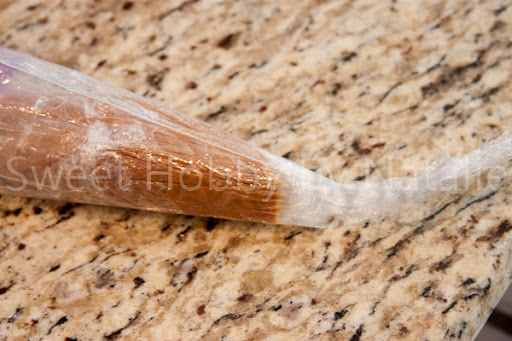 -Thread into piping bad and cut off the end of saran wrap and you are ready to go. 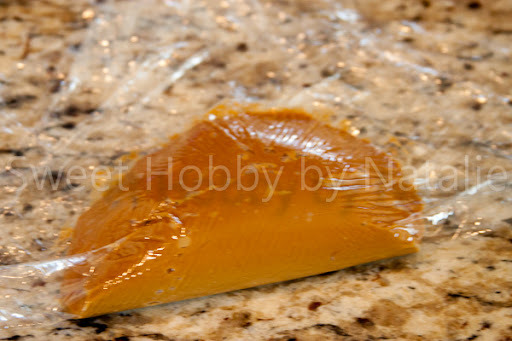 -Place waxing paper or parchment paper on a pan and squeeze out at least teaspoon size chips on parchment and then put in freezer for at least 30 minutes. -You can then make your ginger cookies, my recipe will be at the end. -Roll out teaspoon sized balls. - Sandwich another slightly flatten ball of dough on top and then roll around in your hand to make finished ball. - Roll in sugar and put on cookie sheet. Bake and enjoy the Biscoff goodness!!! 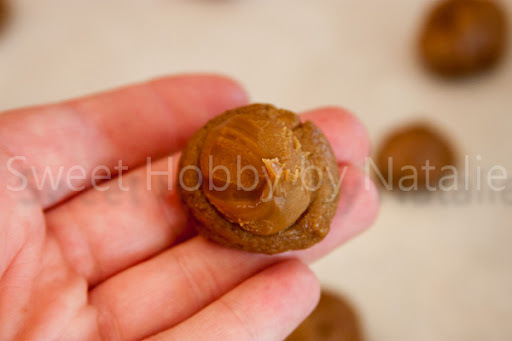 With any of these stuffed cookies I have found that your ratio of filling to dough is really important if you have to much cookie to filling the filling kind of bakes into the cookie. The smaller I made the cookie the better result I had. 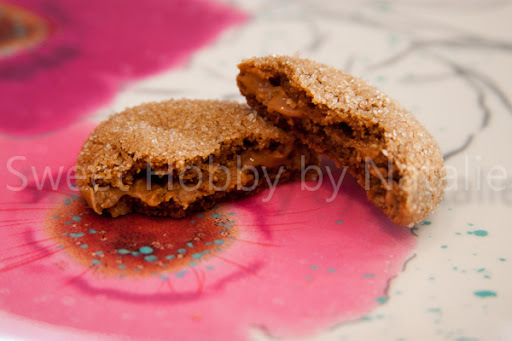 The ginger cookie I used is actually a recipe that I have had for years from my brother. It has been called "Friendship Cookie" and believe me if you make them and give them away, you will make some new friends!! It is an awesome cookie for fall and Christmas. 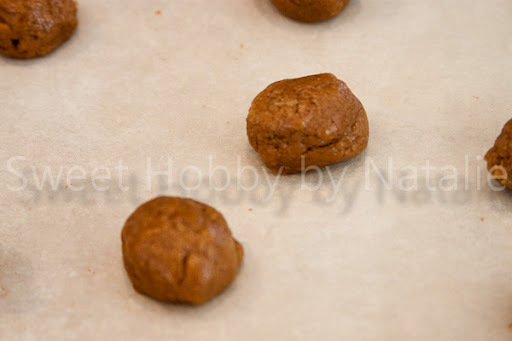 It is like a soft chewy version of a ginger snap and is so delicious. This batch made at least 3 1/2 dozen of cookies and my husband downed almost all of them in a weekend! Preheat oven to 350 degrees. Sift first five ingredients into a bowl. Cream butter, sugar, add egg molasses and mix well. Add wet ingredients into dry and mix together. 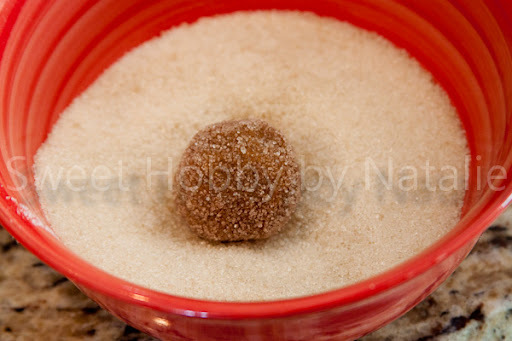 Roll into balls and dip in sugar. Bake on parchment lined cookie sheet for 10 minutes. Makes 3 to 4 dozen.